Toman, Cynthia . "Georgina Fane Pope". The Canadian Encyclopedia, 19 November 2018, Historica Canada. https://www.thecanadianencyclopedia.ca/en/article/georgina-fane-pope. Accessed 24 April 2019. Pope was the first Matron of the Canadian Army Medical Corps (courtesy Canadian War Museum). Cecily Jane Georgina Fane Pope, nurse (born 1 January 1862 in Charlottetown, PE; died 6 June 1938 in Charlottetown, PE). Georgina Fane Pope wrote that her desire to become a military nurse and “go to the front” began when she was a young girl and read about Florence Nightingale's work during the Crimean War. 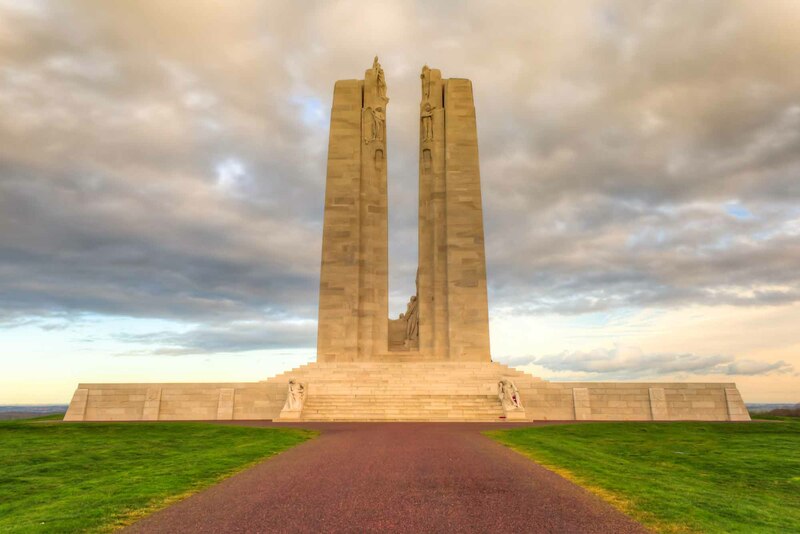 This desire shaped the rest of her life, during which she achieved many “firsts” as a Canadian military nurse: the first nurse appointed to serve during the South African War (1899–1902); the first non-permanent nurse with the Army (1904); the first permanent nurse in the Canadian Army Medical Corps (CAMC, 1906); the first Matron of the CAMC nursing service (1908); and the first Canadian military nurse to receive the Royal Red Cross Class 1 medal (1903). Cecily Jane Georgina Fane Pope, known as Georgina, was born into an upper class Victorian family. Her father, William Henry Pope was a lawyer, land agent, journalist and judge who also had served as colonial secretary. One of the most powerful men on Prince Edward Island, he would become one of the Fathers of Confederation. James Colledge Pope, her uncle, was premier of the province (1865–67, 1870–72, 1873). Her mother, Helen DesBrisay, was from a deeply-connected, prestigious Island family. Georgina was one of eight children. While highly successful in Island politics, Georgina’s father was known for his extravagant lifestyle and for living beyond his financial means. His death, at the age of 54, left the family in financial difficulty. Georgina’s brother, Sir Joseph Pope, assumed responsibility for the family — including his six sisters. He eventually became private secretary for Canada’s first prime minister, Sir John A. Macdonald	(1882–1891), then later served as the under-secretary of state in Ottawa under successive prime ministers (1896–1926). His influential position was significant in advancing Georgina’s military career. Due to financial stresses, the Pope family moved to Summerside, PEI, in 1881. Soon after, Georgina Pope entered the New York Training School for Nurses at Bellevue Hospital in New York City, graduating as a nurse in 1885. Bellevue Hospital’s training school, established in 1873, was one of three prestigious “Nightingale schools” established in the United States. Pope’s first position was as charge nurse at Dr. Johnson’s Private Hospital in Washington, DC. From there she became superintendent of the Columbia Hospital for Women in Washington, where she founded a new school of nursing. She left after five years, and took a brief work break before becoming superintendent of St. John’s Hospital in Yonkers, NY. 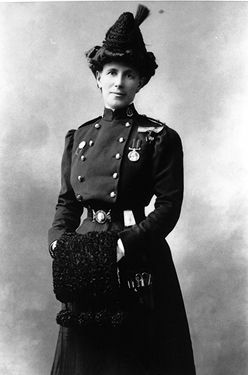 As she wrote, in October 1899, “I received my appointment, with three other nurses, to go out with the Canadian Contingent then called to active service in South Africa-thus realizing my early aspirations [to become a military nurse].” Pope’s name and political connections ensured that she was the first nurse appointed for this special volunteer contingent in support of the British Army during the South African War. 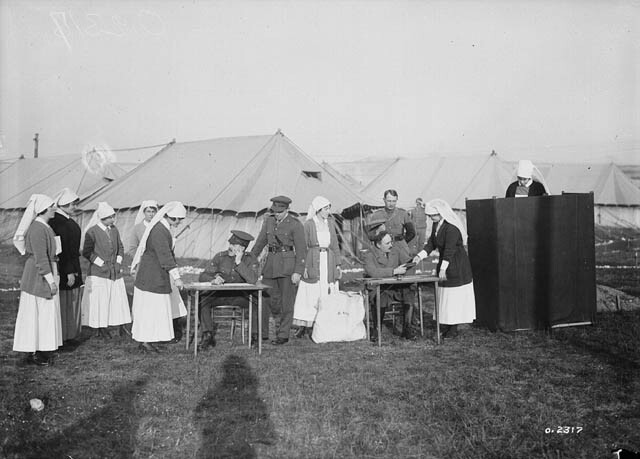 The South African War pre-dated the formation of the Canadian Army Medical Corps	(CAMC) and its nursing service. A total of 12 nurses, given the title of nursing sisters following the British tradition for professional nurses, were deployed with the British Army in three contingents, serving: November 1899 to January 1901; January 1900 to January 1901; and, January to July 1902. Georgina was “superintendent of the first contingent” and “senior sister” of the third contingent. She reported on the first contingent’s experiences in the American Journal of Nursing (1902). She also relied on her position as the first nursing sister in the South African War for future military appointments. The CAMC had planned for a nursing service within the organization from its beginning (1904), partly based on the success of Canadian nurses in South Africa and partly based on Georgina Pope’s political lobbying. Her influence and connections set CAMC nursing sisters on a firm footing as fully enlisted officers in the Canadian military. The Army created a special, all-female officer rank for its military nurses. Trained nurses enlisted as lieutenant/nursing sister, with relative rank and equal pay to men. Until well into the 1940s, Canada’s was the only military to commission women. In 1904, Pope became the first and most senior “non-permanent” (reserve) nursing sister in the CAMC. In 1906, she was the first nursing sister appointed to the “permanent” service, followed by Margaret Macdonald, another veteran of the South African War. Pope was named matron with the rank of Captain (1908), although there were still only two permanent nursing sisters. Both were based in Halifax, Nova Scotia. One of their responsibilities was to train civilian nurses as a reserve for military service in case of war. When England declared war on 4 August 1914, and the CAMC began to mobilize nursing sisters, it appointed Margaret Macdonald as matron, and then matron-in-chief, of the nursing service, partly due to Georgina Pope’s age. Pope remained in charge of training at Halifax. She was sent overseas in 1917, at the age of 55, posted to Taplow, England, and then with No. 2 Canadian Stationary Hospital in France. During the bombing of CAMC hospital units at Étaples (May to June 1918) she suffered “shell shock,” also called “neurasthenia” at the time (Post-Traumatic Stress Disorder, PTSD). 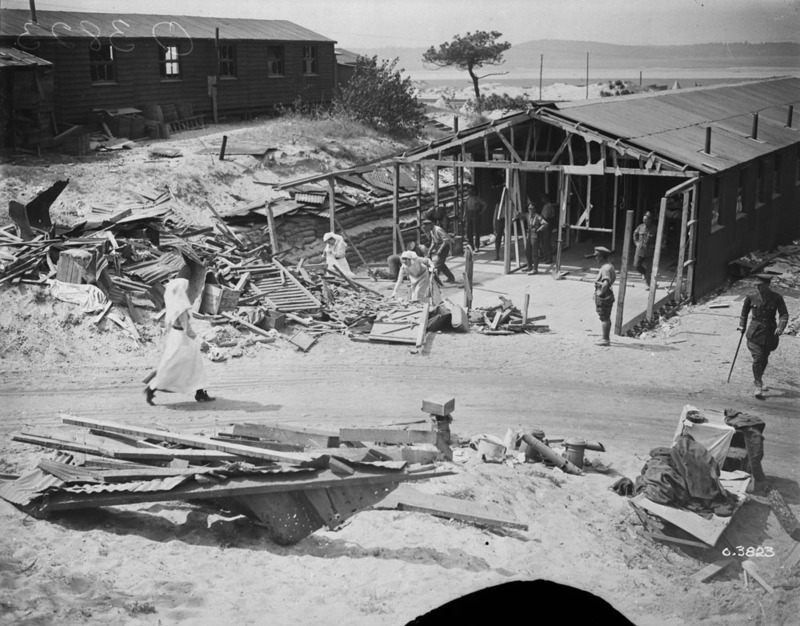 Her age, shell shock, and other medical conditions mandated her return to Canada, where she retired from the CAMC in March 1919 with a pension based on war-related injuries. Pope lived the rest of her life in Charlottetown>, where she died on 6 June 1938 at the age of 76. Nursing Sisters at a Canadian hospital voting in the Canadian federal election, France, December 1917. Georgina Pope is credited with establishing Canadian military nursing as a fully-integrated role for women in the armed forces. She did so through her political connections and upper class origins. Nursing sisters	were the first, and with few exceptions, only women in the Canadian armed forces until 1940–1941. 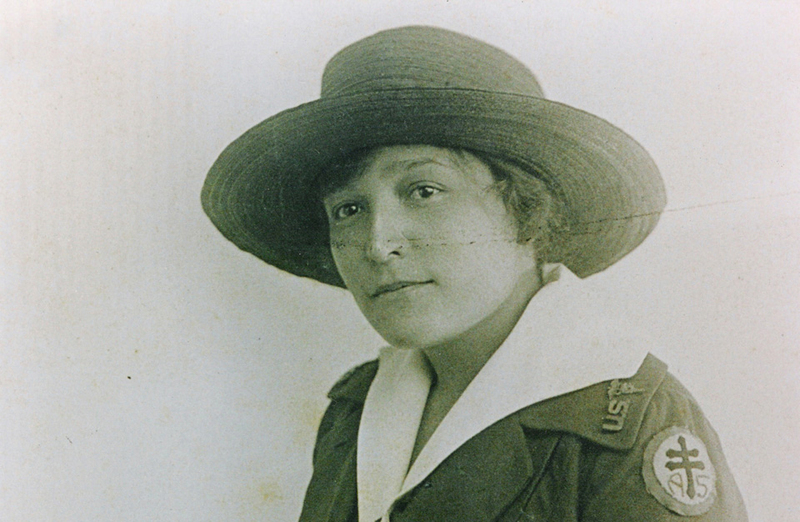 Partly due to her influence, as well as to Margaret Macdonald’s strong leadership after her, the CAMC was the only nursing service in the world whose nurses were commissioned as officers — earning them the respect and envy of other nursing services. Pope also recommended that nursing sisters’ khaki CAMC uniform be changed to the blue uniforms that became highly recognizable among the Allied forces.